This new edition is the ultimate exploration of the upstart instruments - and their unique analog growls and screams - that paved the way over the last four decades for today's fast-paced electronic music world. 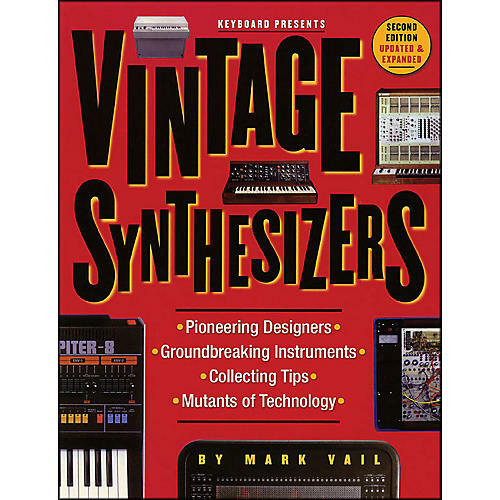 Explores the development of the modern synthesizer from 1962 on, with in-depth interviews with pioneering designers Bob Moog and Alan R. Pearlman of Moog Music and ARP Instruments fame. These and other designers reveal their initial ideas, reflect on their hits and misses, and discuss how star performers have used their creations. Histories of groundbreaking instruments examine modular, analog & digital synths and samplers, plus more unusual instruments like the Mellotron. Noted synthesist Keith Emerson and composer Wendy Carlos (Switched-On Bach) offer musical insights and performance techniques. Includes fully updated pricing and production info, and more than 200 photos and a stunning color section.